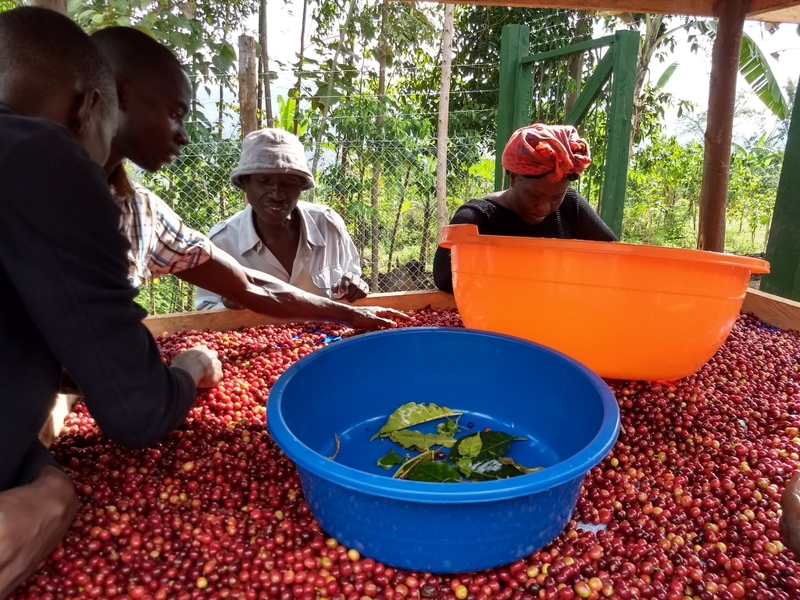 Department alum Shakeel Padamsey, tells us about the social business they co-founded with his wife and ID fellow alumnus Micheal Mugisha, which aims to develop the potential of the speciality coffee industry in Eastern Uganda. Speciality coffee, renowned for exceptional flavours, traceable origin and higher price, offers a viable business opportunity that is socially and environmentally beneficial. Offering better prices to smallholder coffee growers in exchange for high quality products provides an opportunity for farmers to lift themselves out of poverty. As biodiversity is key to producing the best coffees, there is also a powerful incentive for farmers to preserve the environment. Thus, in the world of speciality coffee, quality is intertwined with social and environmental consciousness in a virtuous cycle. Despite being the second biggest coffee producer in Africa, specialty coffee from Uganda rarely features in international markets. Why is Uganda under performing when 1.7 million Ugandan farmers produce coffee and how do we change this? In early 2018, myself, my wife Dana Siedem, and fellow LSE Development Management alumnus Micheal Mugisha sought answers to these questions. This quest resulted in The Coffee Gardens, a social business in the foothills of Mount Elgon, Eastern Uganda. Our hypothesis was that the underlying conditions encourage the production of low-quality coffee. We wanted to challenge this, believing that our business can only succeed when farmers also thrive. With high altitudes, volcanic soil and frequent rainfall, the conditions in Eastern Uganda are perfect for growing coffee – yet we often find low coffee quality, impoverished farmers, and environmental degradation. The challenges cited are numerous: collapsed cooperatives, a defunct coffee exchange, exploitative middlemen, ineffective regulation, corruption, and a lack of market access. We saw that many farmers are disincentive to improve the quality of their coffee. Poverty and vulnerability to financial shocks create a pressure to produce coffee as quickly as possible, including harvesting coffee cherries before they are ripe. To access cash or to pay back expensive loans, many farmers trade with middlemen who offer a low price regardless of the coffee quality, but have money readily available. Often, farmers sell their coffee crop prior to harvest at a fraction of the value. Thus, instead of investing time and resources to produce high quality coffee, farmers prioritise volumes and speed. However, many of the methods used do real harm. Despite being trained on good agricultural practices (such as pruning infected plants to control pests, making fertiliser from compost and manure, digging trenches to prevent erosion, and combining certain crops and trees to naturally manage soil fertility), many farmers neglect these time-intensive activities. Instead, they opt to over-rely on chemicals and cut down shade trees to maximise arable land and experience dwindling soil fertility, increased levels of erosion, a higher prevalence of pests, and chemicals leaching into water sources. This soil erosion culminates into mudslides, killing dozens of people every year. Over time, unsustainable practices, coupled with climate change, negatively affect coffee quality and yields. Prices bottom out and farmer incomes drop to critical levels. When the sale price drops below the cost of production, farmers have little choice but to cut down cash crops and revert to subsistence farming. Despite all this, we saw great potential in Eastern Uganda and identified like-minded partners to work with. We worked hard to better understand farmers’ needs and create better incentives. We chose to focus on addressing quality with a small number of farmers, considering five things: (1) pay above market rates, (2) set up better coffee processing facilities, (3) provide access to finance, (4) provide training including agronomy, sustainable farm management and financial literacy, and (5) support farmers to save money. Our first partner farmers were Jennifer and Lawrence Masaba, who have a handful of small gardens. Initially, we built the farmer better facilities for drying coffee and provided preseason financing. We soon recognised that the farmers also needed significant technical support and so hired and trained a university graduate called Job, who supported the farmers on quality assurance throughout the season. Coffee cupping tests soon showed our coffee was rated as speciality, and we knew that we were on the right track: coffee from this area had real potential. We approached the top speciality importers in Europe and received positive feedback. However, they identified that further improvements were still needed to meet their exacting standards. We identified some independent coffee shops who were interested in our coffee and our story, and in July 2018 we exported our first consignments – 4 tonnes of speciality arabica coffee. Over the past several months, we have been determined to further improve and implement our model at a larger scale. Even with additional support, we saw that smallholder farmers found processing coffee themselves to be extremely challenging, and our current approach was neither scalable nor yielded the consistency and quality we needed. We set up our own micro coffee processing station in the valley beneath our farmers and grew our team. We implement strict processing practices, use modern equipment (including a mechanised coffee pulper, solar dryers, water purifiers, wastewater treatment systems and a mobile app for tracking coffee), and are able to experiment with different processing techniques. The results exceeded our expectations, with greater demand than we could meet, and we exported all of our coffee within weeks of the harvest finishing. Jennifer and Lawrence are happy to keep working with us and act as ambassadors to help us enlist new farmers. We also signed an agreement with a Swedish NGO called Vi Agroforestry who will provide sustainable farm management training for our farmers. For the community around our processing station, we are providing treated drinking water and will soon offer organic fertilizer from our coffee waste. The way has been (and continues to be) filled with challenges. However, we are motivated by the improving coffee quality and positive changes we are starting to see – and are optimistic about the future. By creating the incentives to produce higher quality products, our farmers are increasing their incomes and are better able to meet their basic needs. We hope our work will support our partners to reduce their vulnerability, becoming stable suppliers producing an ever-improving product. Our goal is to have a thriving business that not only offers our farmers a clear path out of poverty, but absolutely requires this for our success. Dana Siedem has been passionate about coffee since her studies at the University of Life Sciences, Prague. After moving to Ethiopia in 2013 with UN Environment, she became interested in the relationship between coffee quality, the environment and the socio-economic conditions of producers. Prior to moving to Uganda, Dana co-founded BirdSong Coffee with her sister in Prague. Shakeel Padamsey (@shakpadamsey) has worked in Eastern and the Horn of Africa for 9 years, primarily in the fields of education quality improvement and rural development. Shakeel has a Master’s degree from the London School of Economics in Development Management and founded Subira Consulting to support start ups and NGOs. Dana and Shakeel came to visit the International Development Department in March to talk about their coffee business. You can read about their talk here.